Do you remember the early nineties? Do you remember when glam died and rock and roll made its way back into our collective hearts? Drunk Couples does. I say that and you’re like, “what?” I’m all, “Dude I used to own Bleach on color vinyl.” Then you go, “huh?” Ok fine. I remember when grunge stomped the guts out of the hair bands reign and some guts came back into rock and roll, and well that brings us to this EP. Most of the time I’d look up a band, see where they’re from, get a vibe for what they’re about, ya know, kinda see what’s going on. This time I’m going to take a different approach. I’ve got the Cruisin’ EP cranked on my headphones right now. I don’t want to know where this band’s from. I don’t care if they’re on their 25th bass player because their 24th joined the Merchant Marines, I just want to rock the hell out. If you’ve read any of my reviews before, you are perhaps aware that I’m generally not that impressed with “Rock and Roll.” I’m willing to make an exception for this release. The tracks are tight. The songs have passion while avoiding being saccharine or trite. It doesn’t go into slow jam or ballad mode. 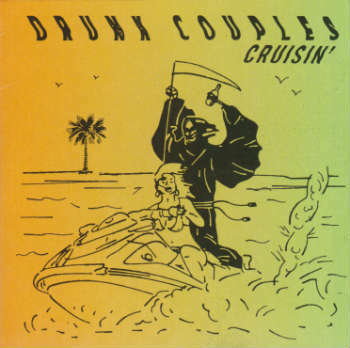 “Cruising'” is five tracks of pure win. Bottom line: Fans on Motorhead, Misfits, Tad, and The Fluid are gonna love this. Fans of Mother Love Bone might. (Unless you really were into Andy Wood’s vocals, then maybe not) Either way these tracks are decent and you should find this band and give ’em a high five or whatever the cool kids do nowadays.